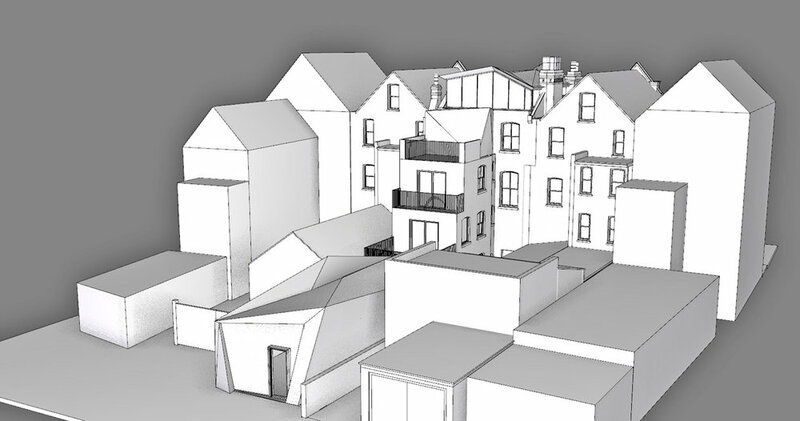 Section through proposal showing penthouse, rebuilt extension and mews house. 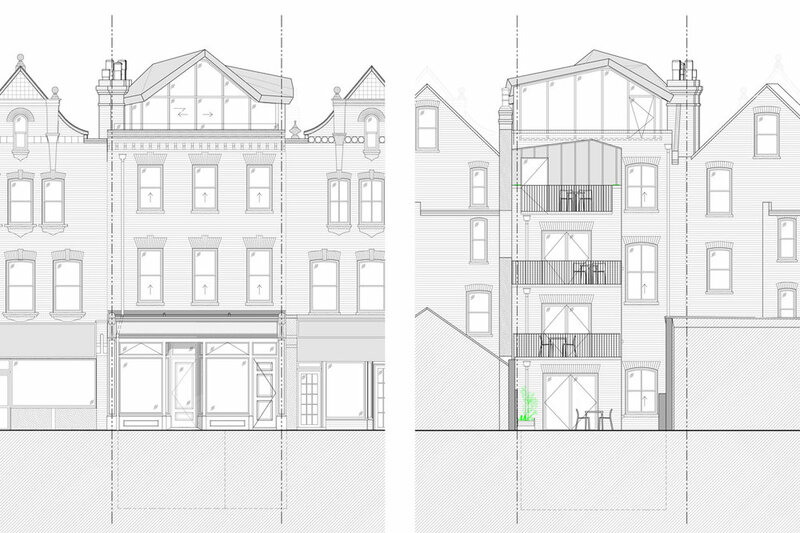 This project sought the conversion of a former Chinese Takeaway with neglected upper levels to provide residential and retail space. 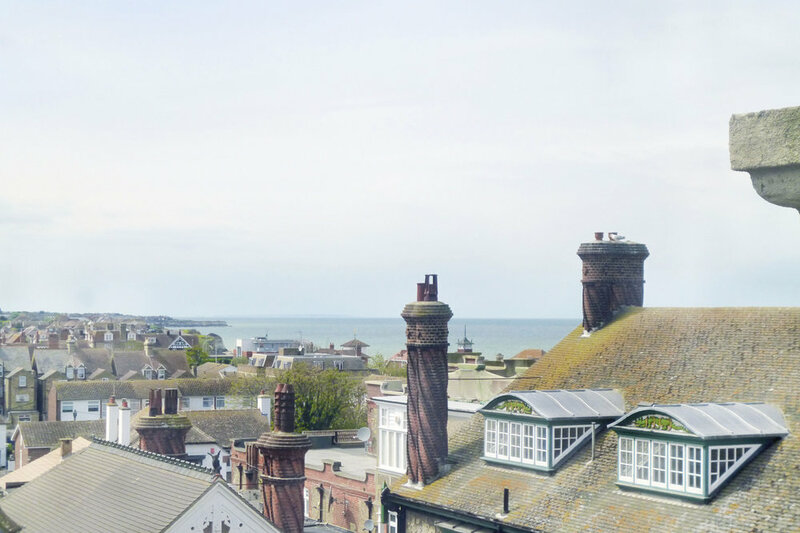 The site is located within the busy historic centre of Westgate-on-Sea, and lies within a Conservation area rich in architectural heritage. 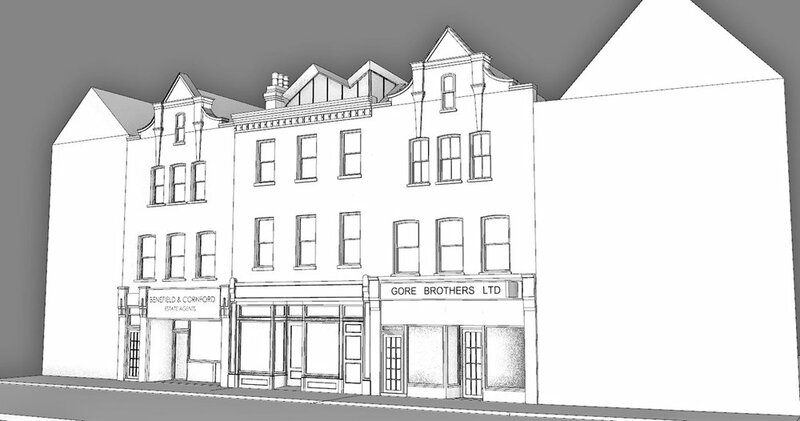 The design solution saw the restoration of the facade including traditional sash windows with acoustic glazing and the reinstatement of a Victorian shop frontage at street level inspired by early photographs of the terrace of shops and businesses. 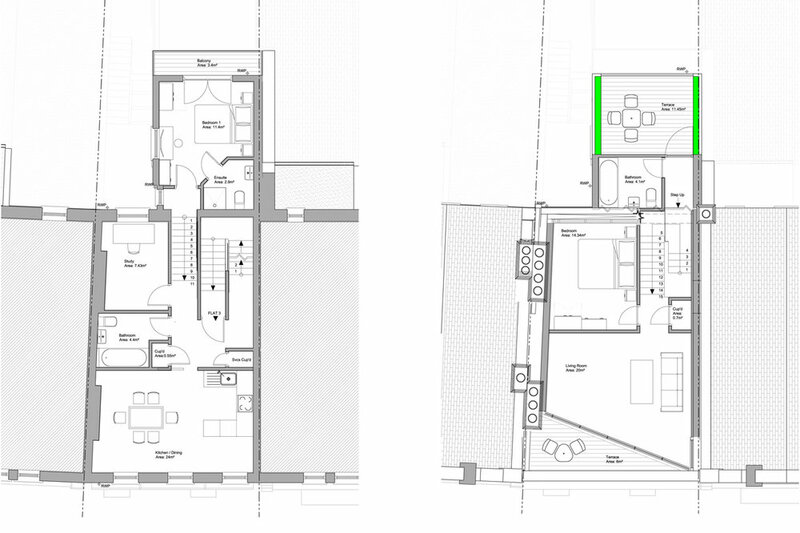 The retail space provided live-work unit, duplex with a basement conversion. 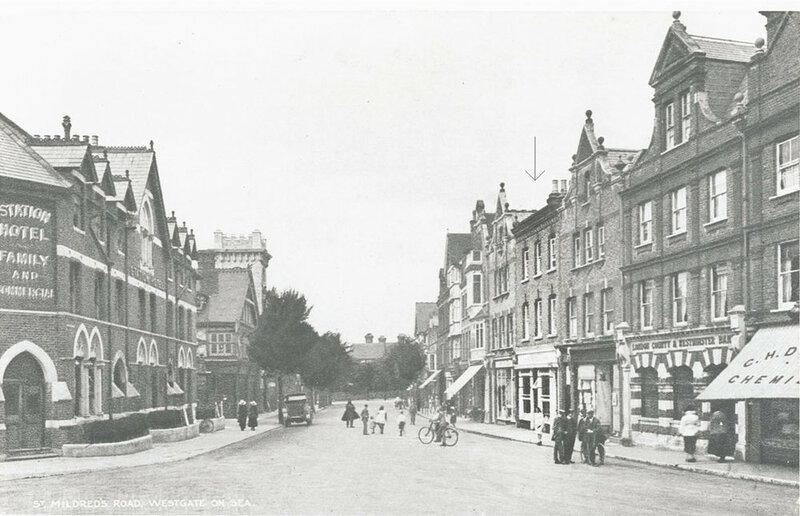 The main property featured 3 self contained flats presented internally with renovated and reinstated Victorian features as well as modern finishes and layouts to meet the demand for contemporary living. 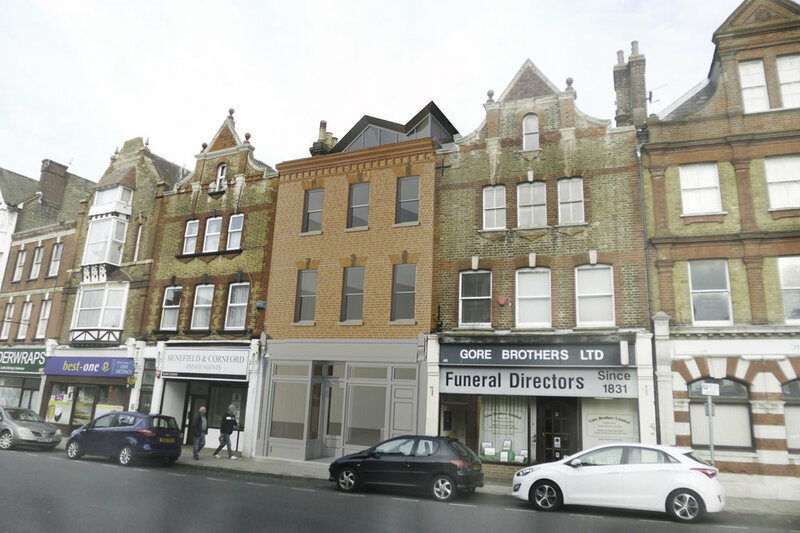 Restoration of the frontage provided the opportunity to design a striking intervention in the form of a rooftop extension duplex with the second floor apartment below. The heavily articulated roof form was inspired by the visual distinctiveness of neighbouring gable ends, some steep, some decorative. It was proposed to clad the roof in Zinc, cantilevered out above a sliding glass facade presenting magnificent views North-West over Westgate Bay. The facade was set back behind the original brick parapet to provide a terraced seating area. 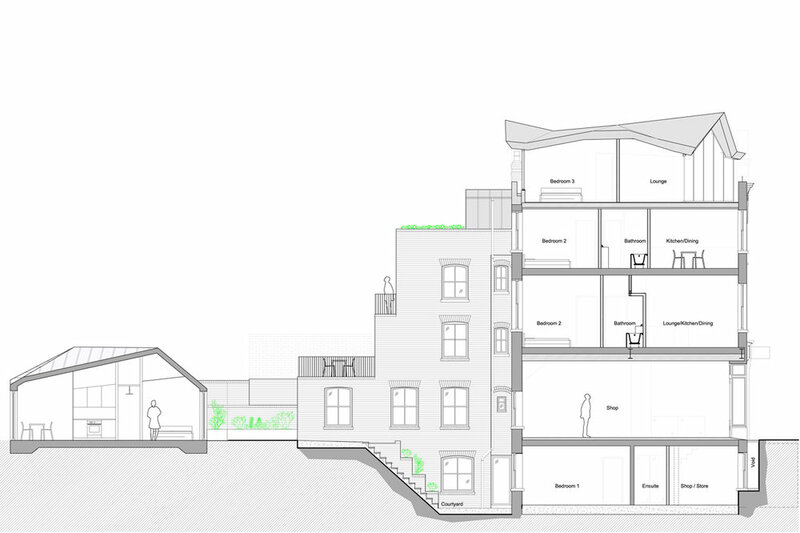 To the rear of the property we proposed a series of extensions reducing in mass at every upper floor level, these helped to maximise living space and provided private outdoor terraces to each apartment. An extant garage to the rear was replaced by a two storey studio annexe, articulated to reference the form and materiality of the rooftop extension.